#06, Prakruthi Royale, 13 Main, Ganganagar, Bangalore – 560024, Karnataka, India. 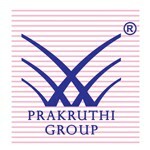 Prakruthi Infra & Shelters (India) Private Limited., The Seasoned Real Estate Professionals Who Have Proved That Vision & Ethics Are The Only Two Elements Of A Strong Foundation In The Industry. Having Set A New Benchmark For Project Standards And Strict Adherence To Schedule, Bring Into Every Project Expertise Born Of A Decade Rich Experience. Just The Reason Why You Can Trust Prakruthi Infra & Shelters (India) Private Limited To Turn Your Dreams Into Reality Brick By Brick. The Company Has Very Dedicated Team Of Professionals In All The Fields – Marketing/ Engineering/ Management And Is Led By Its M.D – Mr. I.K. Venugopala Reddy Who Firmly Believes That There Is No Shortcut To Quality And Commitment Save Upholding And Honoring The Same With A Steadfast Purpose.